The Liberal Lady Redskins built a 17-6 before officials whistled Justice Norah for her third foul. Lawton would then tie the game at 17 before LHS took a 19-17 lead at halftime. But Norah didn’t foul in the second half and Liberal cruised to a 55-37 win over class 6A Lawton, Oklahoma. Justice Norah scored 23 points for the Lady Skins despite sitting much of the second quarter. Liberal led 41-26 at the end of three and led by as many as 21 (51-30). Liberal is 2-2 and 2-0 with Justice Norah in the lineup. 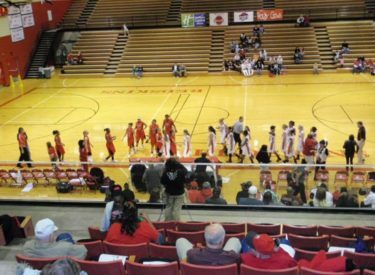 Liberal plays at Perryton Friday on Talkradio 1270 at 6:30.